Social media use, which is regarded as a popular leisure activity around the world, brings about the risk of becoming problematic in its wake, and personality differences have been shown to relate with different levels of engagement in risky social media use. The purpose of this study was to examine the association of problematic social media use (PSMU) with Dark Triad (DT) traits (i.e., Machiavellianism, psychopathy, and narcissism) and self-esteem. A total of 827 university students [495 (60%) women and 332 (40%) men, Mage = 20.36, SD = 1.47] filled out a questionnaire that included the Social Media Disorder Scale, Dark Triad Dirty Dozen Scale, and Single Item Self-esteem Scale. The direct effects of DT traits and self-esteem on PSMU and the indirect effect of narcissism on PSMU through self-esteem were investigated by applying structural equation modeling. Results indicated that, when controlling for gender and age, Machiavellianism and narcissism had small significant direct effects on PSMU, while the partial indirect link of narcissism via self-esteem was negligible. The model was able to explain 18% of the variance. Results were discussed in the light of existing literature. The authors are most grateful to the students who kindly participated in this study. Zsolt Demetrovics was supported by the Hungarian National Research, Development and Innovation Office (grant numbers: K111938, KKP126835). The funding organization had no role in the design or conduct of the study or the collection, management, analysis, or interpretation of the data or the preparation, review, or approval of the article. KK collected and analyzed the data. ZD developed the study model. ŞBT drafted the manuscript. All of the authors contributed to the final version. This study was supported by the Hungarian National Research, Development and Innovation Office (grant numbers: K111938, KKP126835). The study was approved by the first author’s university ethics committee and was carried out in accordance with the 1975 Helsinki declaration. All of the participants have given their informed consent and participated in the study voluntarily and anonymously. Kircaburun, K., & Griffiths, M. (2018). Instagram addiction and the Big Five of personality: the mediating role of self-liking. 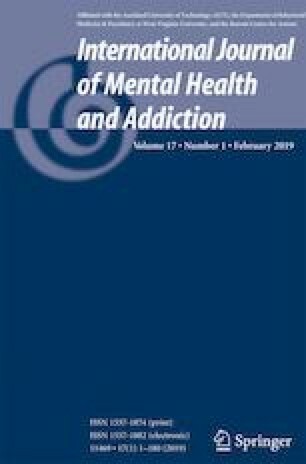 Journal of Behavioral Addictions., 1–13. https://doi.org/10.1556/2006.7.2018.15. Statista. (2017). Social media statistics & facts. Retrieved 24 February, 2018, From https://www.statista.com/topics/1164/social-networks/.